As we have a limited time, I will talk less about the diagnostic work that we did in the territorial delegation of our Senate and concentrate more on the proposals, the avenues of work on this issue of the prevention of radicalization from the point of view of the town halls and territories. In a word, to avoid too many misconceptions: we are often dealing with individuals who are not psychologically disturbed, but fully aware of their actions. They enter this process without necessarily being crushed by social or personal problems. Of course, this also happens, but reducing this process simply to personal weaknesses would be too simple an explanation. I would like to point out two things that are in, but not limited to, the French debate. The first is the question of secularism, you know it's a word that I'm not sure how to translate because, in France, it's a framework that allows the respect of all beliefs or non-beliefs, of all religions. However, secularism does not represent an ideal in itself, because otherwise you risk a form of excess of secularism or radical secularism or, in more pictorial language, laity, that is, to reduce everything to an approach involving almost an excessive rejection of beliefs and religions. We have this risk in France, whereas our youth aspires to an ideal, including in the spiritual field. So, we have to put things into perspective; it's a French difficulty. The other aspect is what is commonly called “communautarisme” in French (similar to the concept of sectarianism, but applied to communities – Ed. ), it is true in all countries; it is withdrawal into the community with all the excesses that this can foster; withdrawal into oneself. However, sometimes, in France, we deduce from this that the community is not good. However, the community is very good: many commitments are much stronger, more efficient when they are in the context of the community, which also encourages respect for everyone. So, let's put things into perspective and I'll finish there for the diagnosis. The proposals from the point of view of the town halls and territories came after having noted what were the good practices and good experiences, because currently no law stipulates that one must take action on these subjects [at the local level], because it is the business of the state, a matter of security, etc., but it is also a matter of education, of contact with the families. We came to Brussels, met the mayors of Vilvoorde and Molenbeek. Vilvoorde is the place from which dozens or even hundreds of jihadists came from at one point. There we met a mayor, a man with hands-on experience, a professional educator by profession, surrounded by young academics, graduates and researchers to address the concrete and practical dimension, as well as to reflect on what was really happening. I really liked this approach, which was both very hands-on and highly thoughtful. In one sentence: since the realization that they really have a problem, most of their work is conducted house to house, apartment to apartment, to meet the families before problems arise. There has been a dramatic decline. I will not talk about Molenbeek where the problem remains to be solved. Local solutions when faced with radicalization depend on the structure of the state, whether it is federal or centralized, but the local governments must be partners. I was for 20 years Mayor of an Alsatian city, Mulhouse, and I was one of the pioneers of crime prevention policies and state-municipal partnerships on security. It was difficult to start with, because it was not in our culture and, over the years, prevention and safety actions were co-produced. And so I know that it is possible and it creates, between the local level and the representatives of the state: the local and police forces, schools and judges, a climate of confidence which is then transmitted from generation to generation. And I said to myself, basically, that the prevention of radicalization is a more complex, sensitive issue. We already know how to work together on the classic issues of delinquency, so it should be possible to put in place mechanisms in which local authorities can play a role in the case of radicalization. For example, in Sarcelles where many communities live, Jewish, Christian, Muslim, a policy of sharing information, awareness, training of staff in contact with the citizens, youth radicalization prevention, the fight against dropping out of out school and against the switch to private, confessional, unregulated schools that are quasi-Koranic, Salafist ones. In other places, including in a place in Burgundy, Chalon sur Saone, the town hall has formed a committee consisting of municipal officials to detect, from the outset, all of the weak signals they may encounter. In my region, in Colmar, the court officials in the public prosecutor’s department, namely the prosecutor and the judges, have put in place a mechanism for people who have not necessarily been convicted, but are involved directly or indirectly in judicial proceedings potentially leading to their conviction, in conjunction with very controlled social associations, allowing them to enter a process of de-radicalization early on. We have also seen initiatives for children returning from jihad. The hands-on presence of adults at the educational, social and associative level must be strengthened, prepared and adapted to these issues. There are entire regions of the country which no longer have any structures for young people, apart from the inward-looking Salafist ones. I am going to meet the Minister of Justice at the beginning of the year, because I think there is a desire to improve our prison system concerning this issue. We have fallen behind, so to catch up, why not start on a good foundation. As a person having had local and national responsibilities at different levels, I think that we must privilege today the philosophy of a substantial democracy that encourages convictions, the debate about values, the desire to engage, the ideal that is proposed, and not simply a procedural democracy that is content to speak of institutions, control or frameworks. This is essential, but insufficient. We have the capacity; it is in this way that the value of a society is judged, to overcome this evil. But there is still a lot to do. 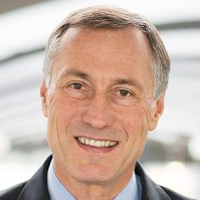 Mr. Bockel has been Deputy of the Haut-Rhin district (1981-1993, 1997–2002); Secretary of State and Minister for Trade, Handicrafts and Tourism (1984-1986); Mayor of Mulhouse (1989–2010) and President of Mulhouse Alsace Agglomération (2010-2017). From 2007 to 2010, he served successively as Secretary of State for Cooperation and Francophonie, for Defence, and for Justice. Since 2004 he is a Senator of the Haut-Rhin district. He presides the French Senate Delegation to Local Governments and Decentralization, and in this capacity supervised a senatorial report on “Local Governments and the Prevention of Radicalization” (April 2017). He is a vice president of the Union des Démocrates et Indépendants (UDI) political party. Intervention of Senator Jean-Marie Bockel at the European Parliament on 5 December 2017 from UPF Europe on Vimeo.